Honey is by far the world’s most ancient sweetener. A product so pure that it literally never goes bad. 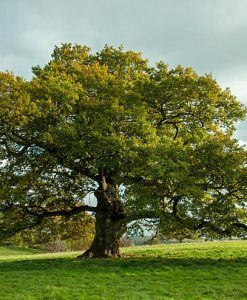 Ancient Greeks and Egyptians used to use it as a natural preservative. Our raw honey is unheated and unfiltered which means that it contains all its natural pollen and propolis. 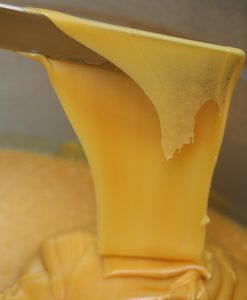 Most honeys in the market are runny and syrupy, often boiled or even mixed with glucose. 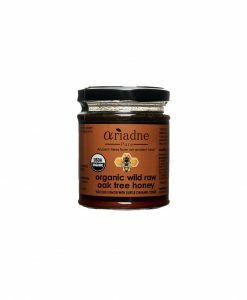 Ariadne raw honey is 100% natural containing all its natural health benefits. We use this as a base and add finely grinded raw peanuts. 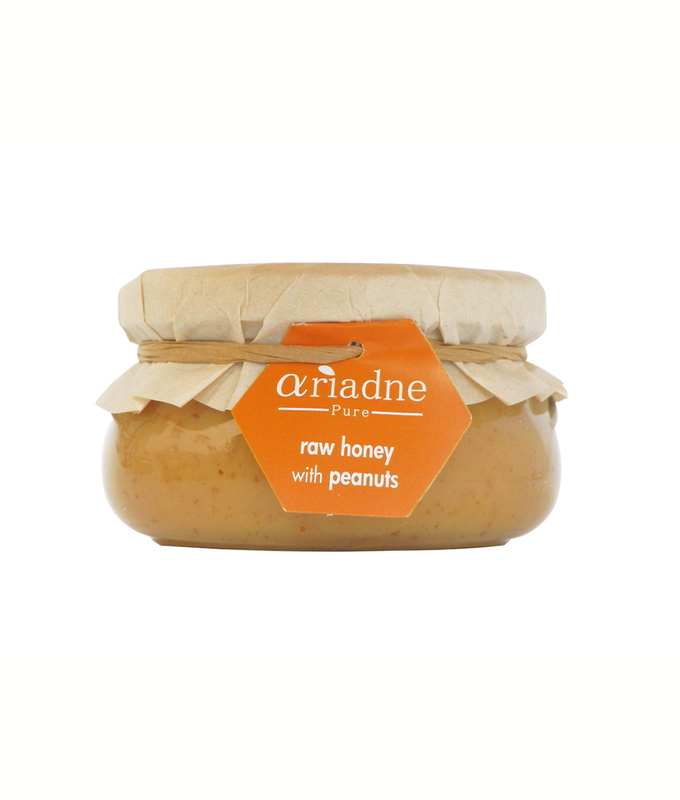 Ariadne raw honey is mainly from orange blossom, hence its vivid yellow golden color. However since we can not control our bees’ natural selection and pollination, traces of sage, lavender and various other Mediterranean herbs have been found. 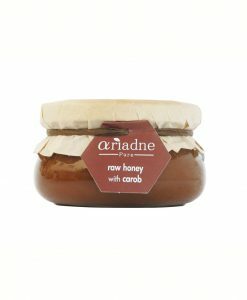 This makes Ariadne raw honey even more unique. It has a creamy and buttery texture, a full and zesty flavor and a delicate aroma.The peanuts provide a full and nutty aftertaste that lingers in your pallet. 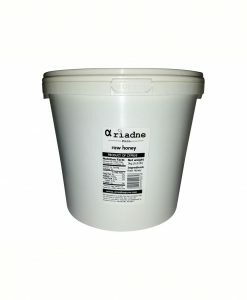 Raw honey is one of the most nutritious foods not only in the Mediterranean diet but in the whole world. Various studies have shown the effect, that even a teaspoon per day, has on people with health issues. Peanuts are rich in calcium and protein. I have ordered the nutty trio and out of the three ( almonds, hazelnuts and peanuts ) this is my least favorite. I still give it 4 stars because it is honey and peanuts and who can go wrong with that..